The Adafruit_MotorShield class represents a motor shield and must be instantiated before any DCMotors or StepperMotors can be used. You will need to declare one Adafruit_MotorShield for each shield in your system. The constructor takes one optional parameter to specify the i2c address of the shield. The default address of the constructor (0x60) matches the default address of the boards as shipped. If you have more than one shield in your system, each shield must have a unique address. begin() must be called in setup() to initialize the shield. An optional frequency parameter can be used to specify something other than the default maximum: 1.6KHz PWM frequency. This function returns one of 4 pre-defined DC motor objects controlled by the shield. The parameter specifies the associated motor channel: 1-4. This function returns one of 2 pre-defined stepper motor objects controlled by the shield. The first parameter specifies the number of steps per revolution. The second parameter specifies the associated stepper channel: 1-2. These are low-level functions to control pins on the on-board PWM driver chip. These functions are intended for internal use only. The Adafruit_DCMotor class represents a DC motor attached to the shield. 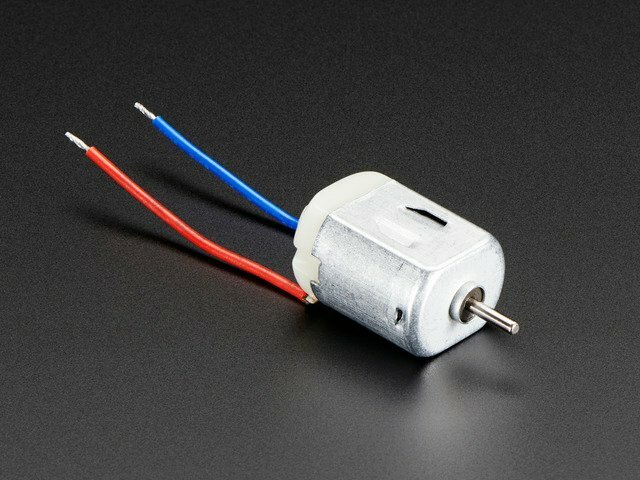 You must declare an Adafruit_DCMotor for each motor in your system. Note that the "FORWARD" and "BACKWARD" directions are arbitrary. 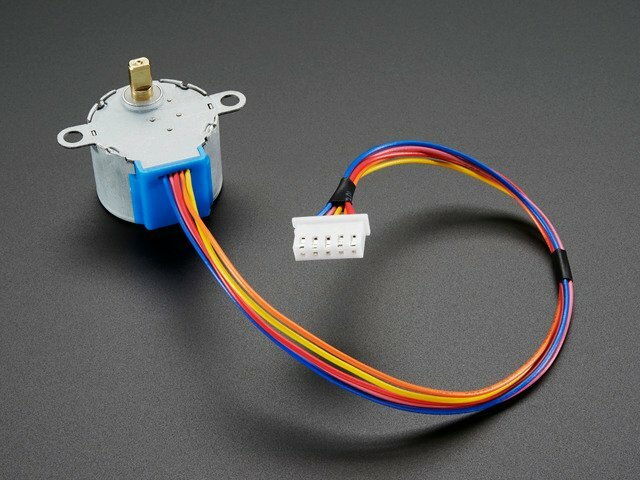 If they do not match the actual direction of your vehicle or robot, simple swap the motor leads. Also note that "RELEASE" simply cuts power to the motor. It does not apply any braking. The setSpeed() function controls the power level delivered to the motor. The speed parameter is a value between 0 and 255. Note that setSpeed just controls the power delivered to the motor. The actual speed of the motor will depend on several factors, including: The motor, the power supply and the load. 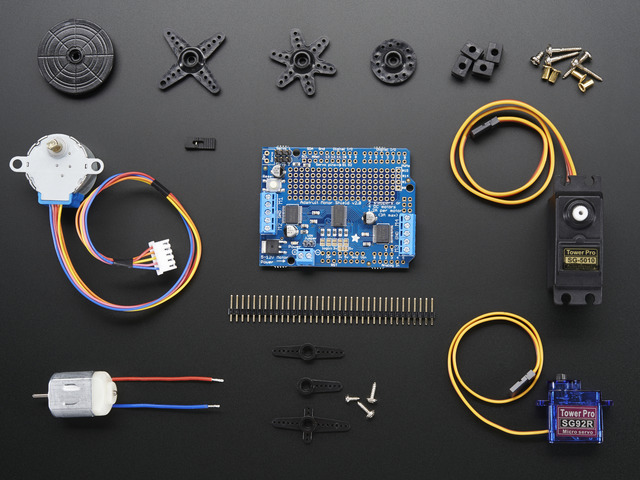 The Adafruit_StepperMotor class represents a stepper motor attached to the shield. 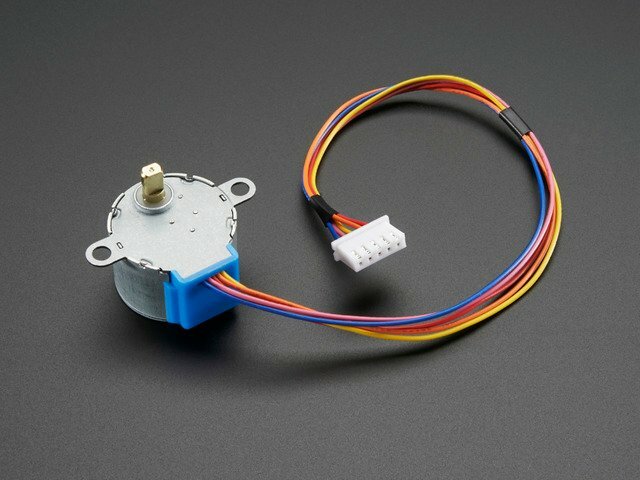 You must declare an Adafruit_StepperMotor for each stepper motor in your system. The step() function controls stepper motion. The first parameter specifies how many steps to move. The ste() function is synchronous and does not return until all steps are complete. When complete the motor remains powered to apply "holding torque" to maintain position. 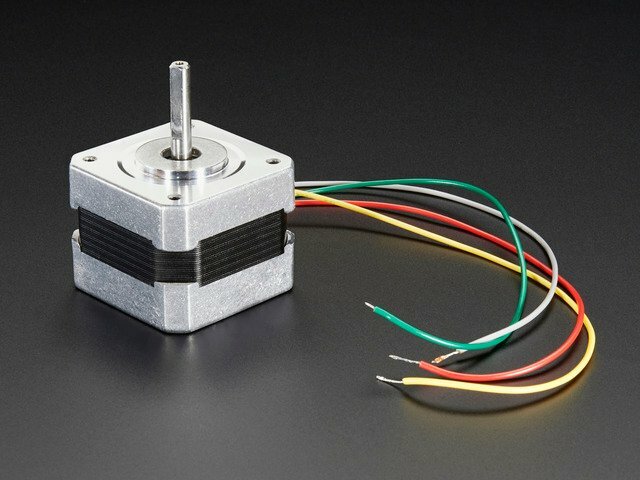 The setSpeed() function controls the speed of the stepper motor rotation. Speed is specified in RPM. The oneStep() function is a low-level internal function called by step(). But it can be useful to call on its own to implement more advanced functions such as acceleration or coordinating simultaneous movement of multiple stepper motors. The direction and style parameters are the same as for step(), but onestep() steps exactly once. Note: Calling step() with a step count of 1 is not the same as calling onestep(). The step function has a delay based on the speed set in setSpeed(). onestep() has no delay. 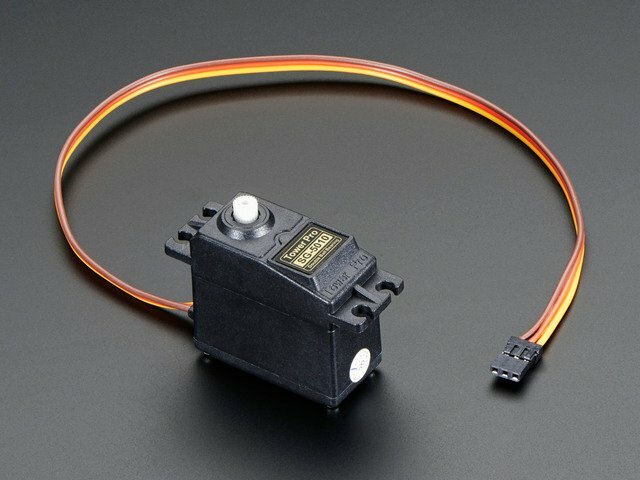 The release() function removes all power from the motor. Call this function to reduce power requirements if holding torque is not required to maintain position. This guide was first published on Jul 09, 2013. It was last updated on Jul 09, 2013. This page (Library Reference) was last updated on Apr 22, 2019. 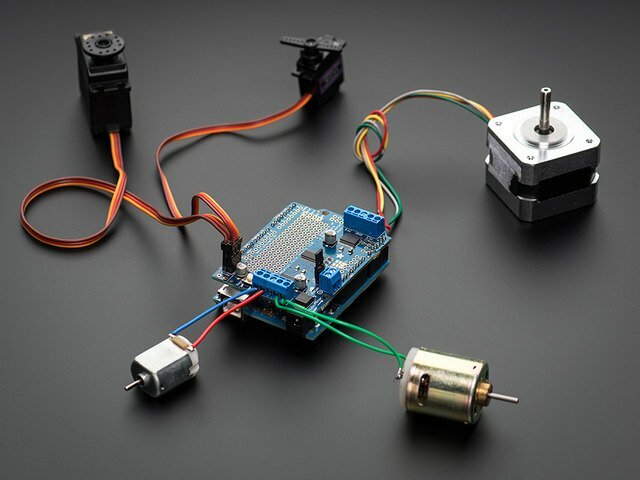 The Adafruit guide to choosing and using stepper motors. Got big motors to drive? Call in the choppers!